The Optima Elite was never on my radar as a must-have, but now that I have tried it out, I would say it stands up pretty well to its closest cousin, the Olympia SM-4 (both of them have the tab keys on either side of the space bar). One of the first things I did after bringing this home was to trawl the typosphere for stories of others' experiences with their Optima Elites. However, it's not the most popular machine out there, so there wasn't very much to read. Dwayne F. has one, and Richard painted his a fiery red last year. I decided to contribute to the wealth of knowledge out there by putting up a lot of pictures! Here, a close look at the Optima logo. Even rarer than documentation of Optima typewriters is any in-depth discussion of the different typestyle options. I can confidently say I know they came in pica, script (an auction I saw last year), bulletin (another auction on eBay), and now elite Imperial. The position of the carriage lock (underneath the machine) reminds me of Triumph/ Adler, which employed a similar lever in their Gabriele/ J series of midsize portables. I think the ribbon color selector dial on the right is a nice touch! I am guessing this is an Optima Elite (and not Super as some others were called in the States). 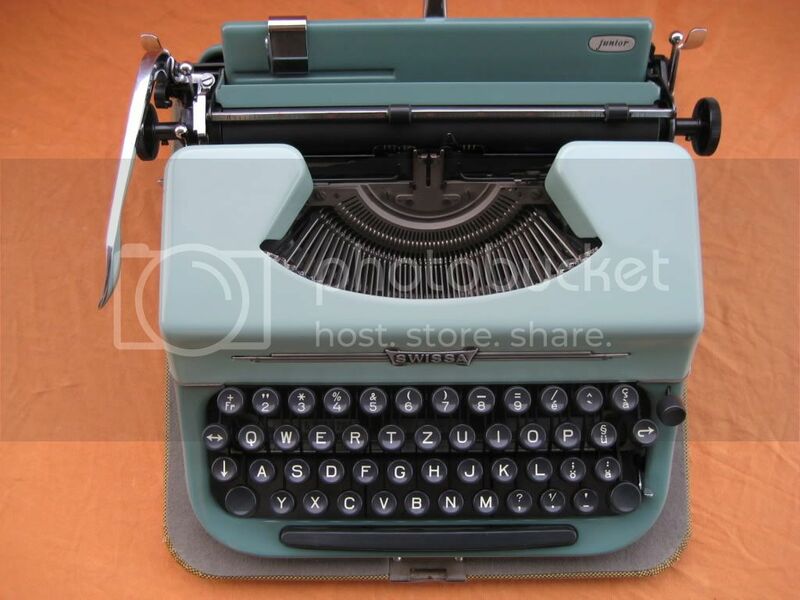 There are no decals on the back to give any clues, like other typewriters usually have. The green case that I thought for a moment would contain a Hermes 2000. Glad I was wrong! wow that is very similar to the Adler's Imperial typeface! nice find! Great photos and a nice typeface as well! I think this color scheme looks better on an Optima than on a Royal Futura. Some typewriters are just awesome that way. I like the typing action on our Optima. The carriage shift mechanism is a bit heavy, but we aren't typing novels. The feel is very much like the Olympia SM3s with just a smidge more twang. As you commented, it is a bit less snappy. Nice find. The machine looks great and I really like that typeface. Elegant machine, nice typeface, yay. These are wonderful photos, with such detailed, interesting perspective, good lighting and presentation. The orange background matches your paper so well, and complements the gray sheen of the Optima. I, too, am attracted to the Imperial typeface. Thank you, by the way, for mentioning my Gossen Tippa B, which has the same type. But your machine seems to work well -- thank goodness! -- while mine is finicky in the extreme; I have to baby it along the beginning of every line, and every few spaces, especially on the left side. It sounds like your machine is much more solid and consistent, which is a wonderful find. Congratulations! We typists live life on the edge. Downs & Ups. The disappointment of the Voss shifts* to the good feeling of finding the Optima. Like it. Have you yet found a place to store it? Richard Polt has made the point that type foundries were separate from the manufacturer, usually, and so it's possible that Optima and Adler both got that typestyle from the same source. I note that the typeslugs on the Optima are marked with a large + and a tiny "5". If someone has an Adler in this typeface, we could compare those markings to the typeslugs of the Adler to see if they match. Thanks, all! 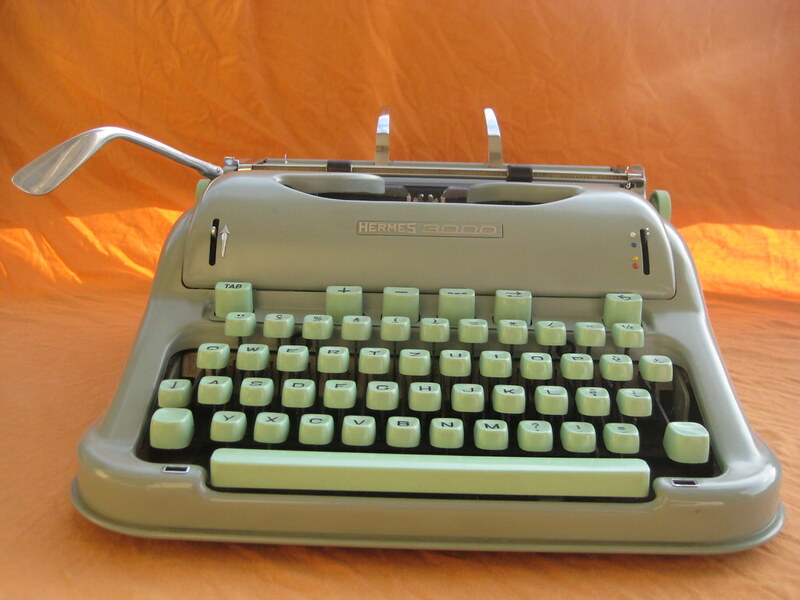 I just lost a hotly-contested auction on our local site for a maroon/ burgundy Corona 4 that I had wanted as a "Christmas present typewriter", but I am perfectly happy because I didn't want to pay that much for it, and I am sure it will not beat this Optima in terms of substance (style, maybe). So this lovely find has boosted my spirits for many months to come and suffused the house with holiday cheer... it came at the perfect time. Over the holidays, I shall work on putting up a "type style gallery" as a complement to the Visual Typewriter Catalog page - that should be fun! @Ted: Great idea to compare the makers' codes - I hope notagain sees this comment and lets us know what is written on the type slugs of his Adler! 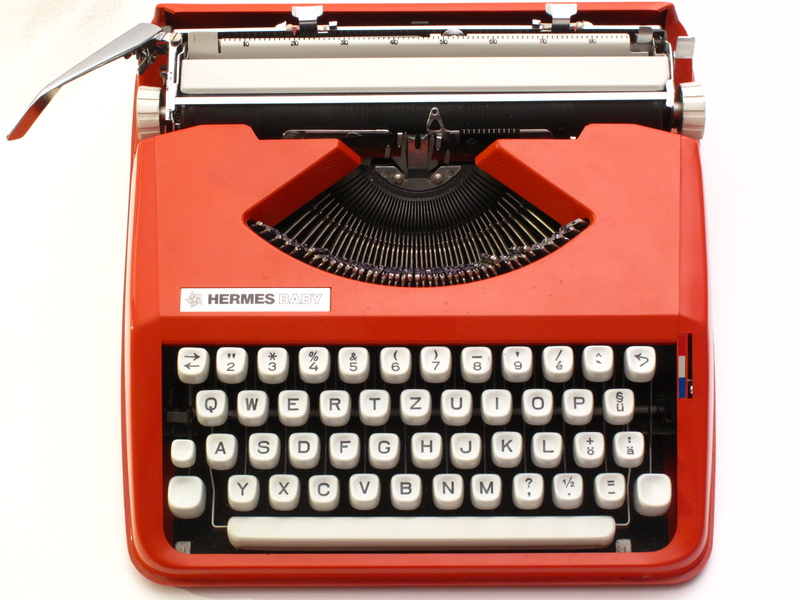 My mother gave me an Optima Elite as my first typewriter many, many years ago. It had a US keyboard, but I'm pretty sure it did have a 1/4 and 3/4 key. I always wondered about the typeface; it was clearly a non-standard size, unlike any I saw on anyone else's typescripts. I've got a green Optima Elite with the swiss keyboard layout, given to me by Florian during my first IT-CH Type-In! I can confirm that it types very nicely and it's so curvy, I like it! We have an old one and would like to find a ribbon for it. Do you have any ideas on where/how to get one?